After seeing my parents off on their trip back home, I've been working on restoring my house to some kind of order. It's going slowly, as I can only find a few minutes for unpacking boxes here and there between bouts of gardening, walking the dogs, cooking, and continuing my dye experiments. This past weekend, I checked on my beehive, and I found that the bees had been making some of the comb improperly (for example, perpendicular to the frames instead of attached to the frames). I had to scrape a bunch of it off and collect it in a bowl. It's full of uncapped proto-honey, so the hive is definitely being industrious. 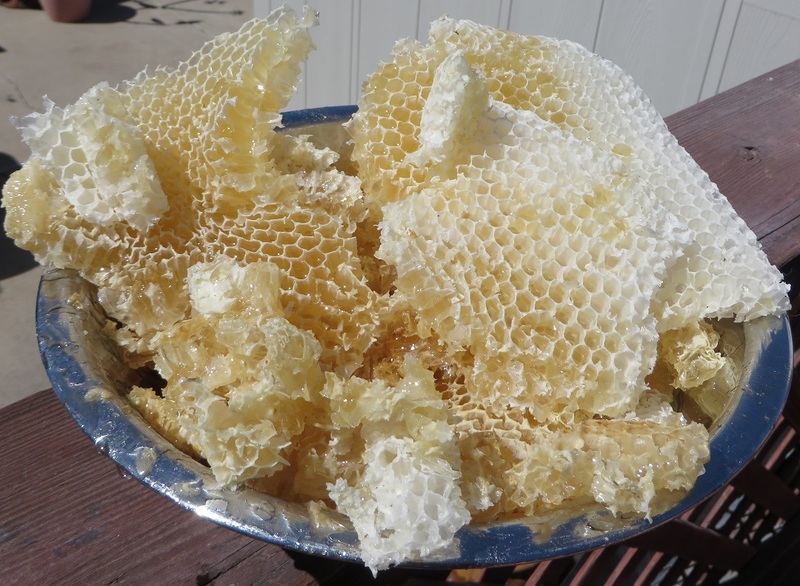 After taking the picture, I stuck the bowl back in the hive so the bees could reclaim all the contents. I've been continuing to test out various natural dyes. 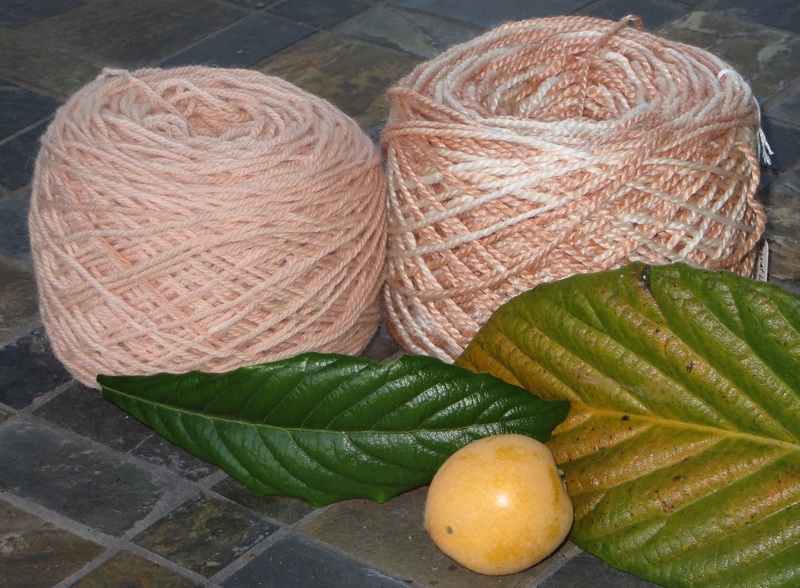 My favorite so far has been a dye made from loquat leaves. It gives a lovely peachy pink color that can get as dark as reddish brown on plant fibers. In the picture, the ball on the left is 80% wool/20% angora dyed by immersion in a glass jar set in the sun for a few days, and the ball on the right is 50% wool/50% bamboo dyed by dipping in a pot on the stove. Currently, I'm experimenting with adding iron solution to the dye. Iron "saddens" colors, making them darker, and when combined with high tannin dyes it creates shades of gray. The tricky part is using the right quantity for the desired effect. I'll probably have a picture or two in my next update. On Saturday, I took my current partner Brooke to a local mall for a public relations event put on by the police. She wasn't thrilled by all the noise and crowds, but she put up with it. She participated in two demonstrations along with a number of law enforcement canines. I'm looking forward to attending the KublaCon game convention this coming weekend. I hope the bees make their honeycombs the right direction for you! Thanks for sharing your dye experiments! That wound up lovely!